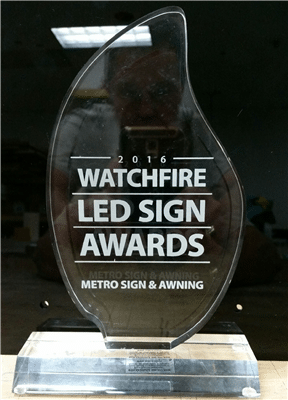 The 2016 Watchfire LED Sign Awards highlight unique designs and eye-catching graphic messaging that can be created using modern LED sign design techniques. Our graphic designers and fabricators have extensive experience and training in both traditional design and LED sign creation. 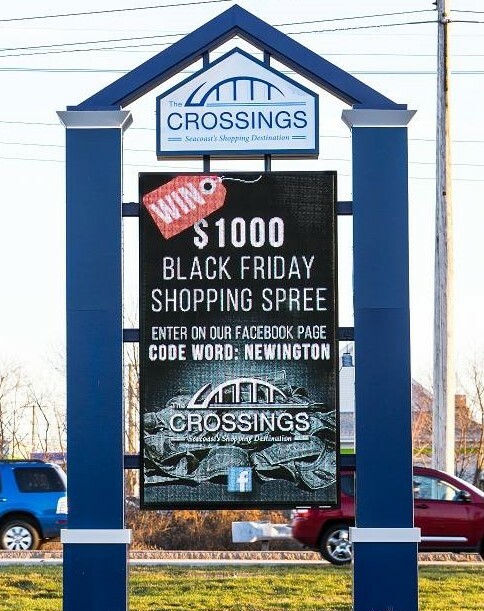 While in some areas LED signs are not immediately approved by planning and zoning officials, Metro Sign & Awning has a portfolio of exisiting signage and the knowledge and expertise to overcome many city objections. The result – winning signage for businesses and communities! 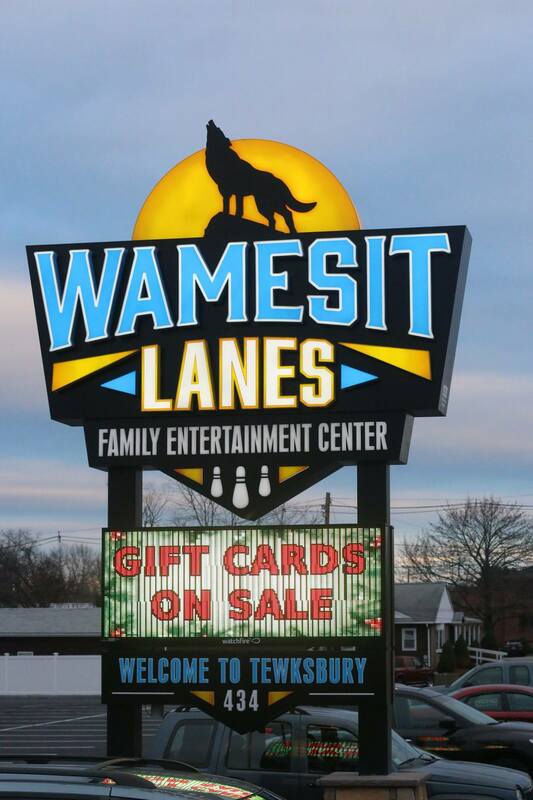 The pylon sign at Wamesit Lanes and jumbo electronic message center sign at The Crossings are pictured below. To our Metro Sign & Awning team, we want to say thank you, and recognize all of those involved in these projects. Your work is always appreciated, and to be recognized on a National scale by one of our esteemed partners is sweet indeed! And we even got a trophy to put on display!